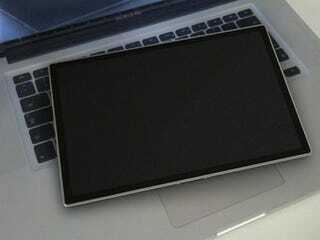 The Apple Tablet is being announced tomorrow. Can't we give up on probably-fake spy shots at this point? Hell no! Not when they look so much like what we're expecting Jobs to reveal. These supposed shots of the tablet in the wild are definitely the best we've seen, although we still are pretty certain they're fakes; feel free to pick your own nits about them in the comments. But what makes them worth checking out is that they look the most like what we're expecting the device to look like than any render we've seen so far.